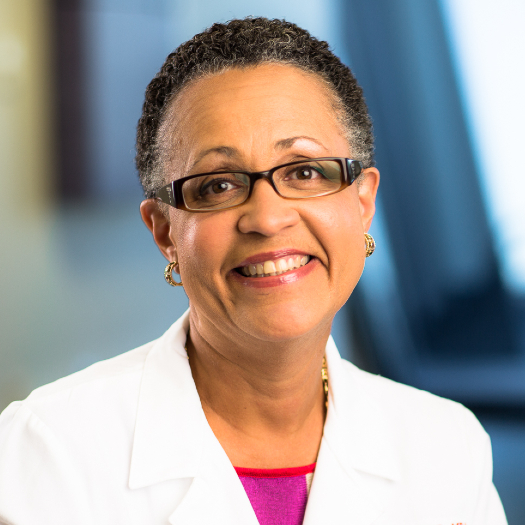 Denice Cora-Bramble, M.D., MBA, is the Chief Medical Officer and Executive Vice President of Ambulatory and Community Health Services at Children's National. In this role, she leads the tri-state clinical operations of Children’s primary and specialty sites, including regional outpatient centers, emergency departments, community health centers, pediatric practices, school-based health centers, mobile medical units as well as nursing services in DC Public Schools and Public Charter Schools. She also oversees the telemedicine program and the Children’s National Health Network. Dr. Cora-Bramble has direct responsibility for more than 1,000 physicians, nurses and administrative staff members and oversees a budget of approximately $113 million. After finishing a bachelor's of science degree at George Washington University, Dr. Cora-Bramble completed medical and pediatric residency training at Howard University and an MBA with a concentration in medical services management from Johns Hopkins University. Her professional development also included a three year W.K. Kellogg Foundation Leadership fellowship. Dr. Cora-Bramble held several leadership positions at the George Washington University Medical Center and the U.S. Department of Health and Human Services.